ONE OF THE 209 women affected by the CervicalCheck controversy will not get to meet a liaison officer to discuss what support services she needs for another two weeks. Fianna Fáil’s health spokesperson Stephen Donnelly raised the woman’s case during Leaders’ Questions in the Dáil today. He said it’s unacceptable that the woman will only get to meet the liaison officer two months after the story first broke, adding that she is not the only person in this situation. At least 18 women wrongly given the all-clear following their smear tests have since died. Health Minister Simon Harris has launched an inquiry into the controversy. He said the women in question have expressed “fear and anger and confusion”. Donnelly quoted comments made by Harris and Taoiseach Leo Varadkar on 11 May, when they announced what supports would be made available to the women and their families. Harris said the 209 women who received false negatives from their smear test and later went on to develop cervical cancer will get financial assistance from the government. The State is due to pay the women’s medical costs and provide free counselling. At the time Varadkar said that the pending court cases would be dealt with through mediation. 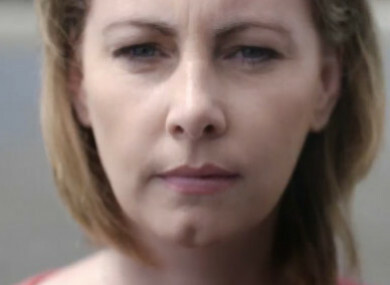 Yesterday the High Court heard that the HSE has yet to admit full liability regarding the incorrect cervical smear results given to Kerry woman Emma Mhic Mhathúna, a 37-year-old mother-of-five who now has terminal cancer. In a statement this evening, the State Claims Agency (SCA) said that it is managing the Emma Mhic Mhathúna case as “expeditiously as possible”. “The SCA is committed to progressing this case rapidly and in compliance with the strict timelines imposed by the court. The SCA has informed the court that it will do everything in its power to bring about the resolution of this case by mediation and is working expeditiously towards that end,” the statement said. Donnelly said Emma has requested that an event is organised for affected women and their families to meet officials and discuss the support they require. Tánaiste Simon Coveney told Donnelly that the HSE is contacting the women and setting up appointments to see what help they need following on from the “very traumatic” revelations. “The government isn’t hiding anything here,” Coveney said, adding that meetings can be set up between officials from the Department of Health and the women in question if they request this. Coveney said he spoke to the State Claims Agency about Emma’s case this morning, adding that it remains the government’s preference that such cases are resolved via mediation, rather than through court proceedings. Email “Women affected by CervicalCheck controversy 'borrowing money to get to healthcare appointments'”. Feedback on “Women affected by CervicalCheck controversy 'borrowing money to get to healthcare appointments'”.